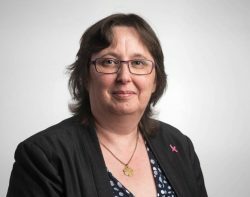 We are sad to announce the death of our friend and colleague Liz Govier who passed away on 27th November after a long battle with cancer. Although she was very unwell at times over the past few years, she refused to make any concessions to her illness and remained positive and upbeat throughout. She kept her unique sense of humour and was wholly committed to the Ottery St Mary office, which she managed for several years during which time she became well known to our clients in the town and was regularly seen supporting local events. She will be greatly missed by her friends and colleagues.